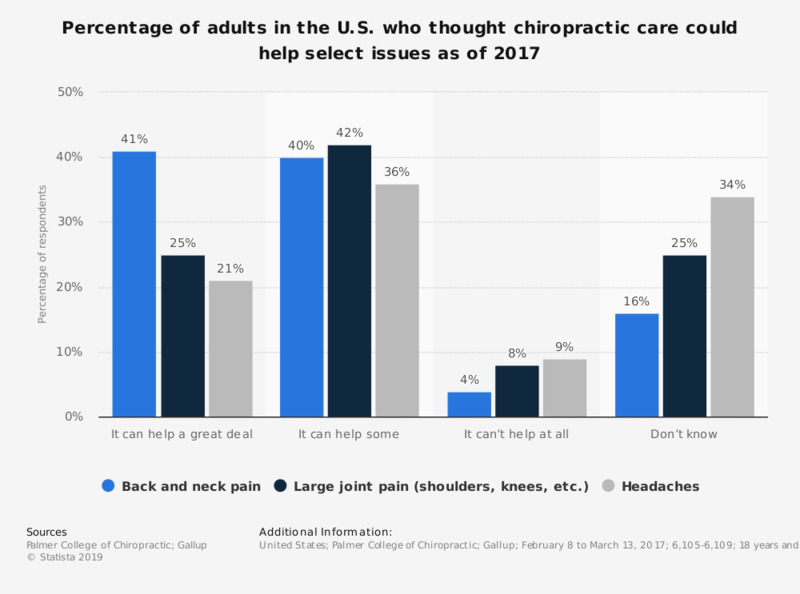 This statistic shows the percentage of adults in the U.S. who thought chiropractic care helped select issues as of 2017. Around 41 percent of the survey respondents said that chiropractic care can help a great deal with neck or back pain. Original question: Do you think chiropractic care can help a great deal, some or not at all with each of the following?